An iconic guitar masterfully executed. Giannini's GSCRA PRO CEQ B-BAND is the top of the line Craviola steel string guitar. Hand-crafted in Brazil by master craftsmen, the Craviola is an exclusive body shape designed back in 1969 by renowned guitar teacher Paulinho Nogueira for Giannini. Featuring a unique shape, crystal clear highs and exceptional playability, the Craviola has been used by many musicians including Jose Feliciano, Luis Bonfa, Elvis, Jimmy Page, Keith Richards, Jeff Linsky, Phil Upchurch, Andy Summers and many more. 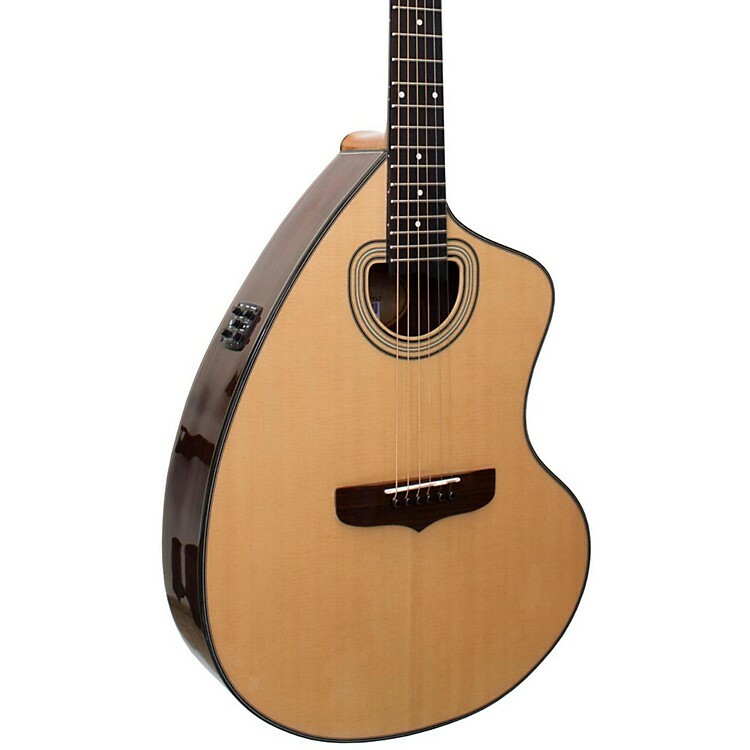 With the included B-Band system the GSCRA Pro is the perfect guitar for studio and stage use. Giannini has been building guitars in Brazil for over 115 years and the GSCRA PRO CEQ Craviola continues the tradition of crafting high quality instruments. Includes hardshell case. Nut width: 44mm / 1.73"
Scale length: 650mm / 25.6"
Own this impressive guitar. Order today.